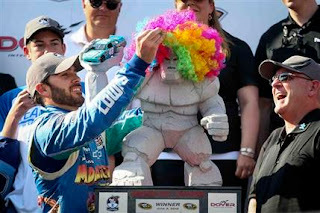 Most of the pre-race hype centered on Sprint Cup point leader Jimmie Johnson, but when the rubber met the road Saturday, Denny Hamlin surprised even himself by claiming the pole position for Sunday's AAA 400 at Dover International Speedway, turning a fast lap in 22.599 seconds, at 159.299 mph. Hamlin was just 0.005 seconds faster than fellow championship contender Clint Bowyer, claiming his third Coors Light Pole Award of the season and the 12th of his career. 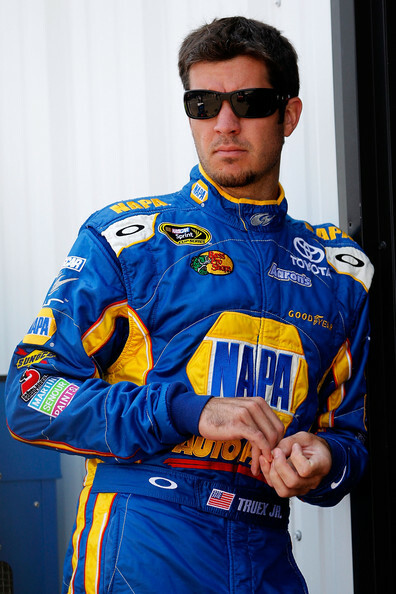 Martin Truex Jr. will start third today, followed by Sam Hornish Jr. and Kyle Busch. 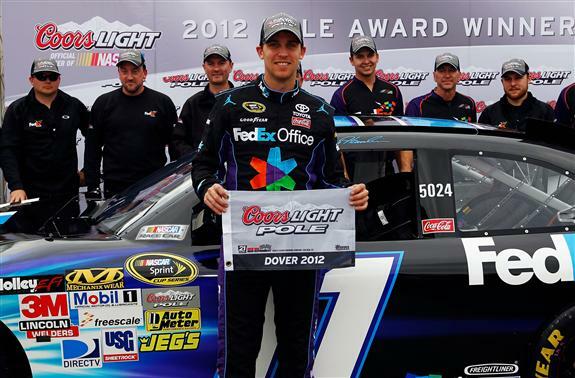 Dover has never been a strong track for Hamlin, who has averaged a 20th-place finish there for his career. He credited crew chief Darian Grubb and a strong Joe Gibbs Racing Toyota for the pole, calling his fast lap, “probably 75 percent car and 25 percent the driver. There (are) a lot of drivers out there who could be able to do what I do with the cars that Darian's been giving me these last few weeks. “I'm going to give him pretty much all the credit and ride his back as long as it'll hold me." He admitted, however, that he has adapted his driving style recently to adapt for the different feel of Dover’s high-banked, concrete layout. "It's tough for me to change the way I've been driving for 20-some years when I come to this track,” he said. “I've broken down a lot of film over these last few days to try to get better at it. The only way you can continue to stay on top in this sport is to continue to evolve." …Joey Logano has become all but untouchable in NASCAR Nationwide Series competition at Dover International Speedway. 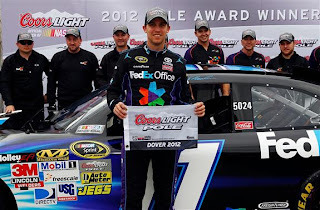 The Joe Gibbs Racing driver won his season-high seventh Nationwide race of 2012 – and second of the year at Dover -- leading 184 of 200 laps to claim the checkered flag in the One Main Financial 200, besting runner-up Paul Menard, Michael Annett, championship leader Elliott Sadler and Kyle Busch. …Nelson Piquet Jr. snatched Victory from the jaws of defeat Saturday night, surging past leader Matt Crafton on the final lap to win the Smith’s 350 at Las Vegas Motor Speedway. Piquet carries the Vegas colors. Crafton had taken the top spot on the race’s final restart, and appeared to have the race in hand by covering the advantageous outside line. 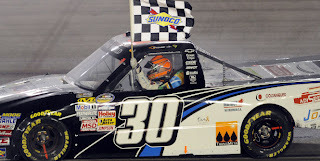 But Piquet dove to the bottom of Turn Two on the final circuit, completing the pass before sliding in front of Crafton and holding off the ThorSport Racing driver to claim his second Truck Series win of the season. "That is the hardest way to lose a race," said a crestfallen Crafton. "I will not sleep for a week. I'll be thinking what I could have done different." Polesitter Joey Coulter continued his late-season surge with a third place finish, followed by Las Vegas native Brendan Gaughan and Todd Bodine. James Buescher closed with a single point of championship leader Ty Dillon with a sixth-place finish, followed by Cale Gale, Timothy Peters, David Mayhew and Dillon. 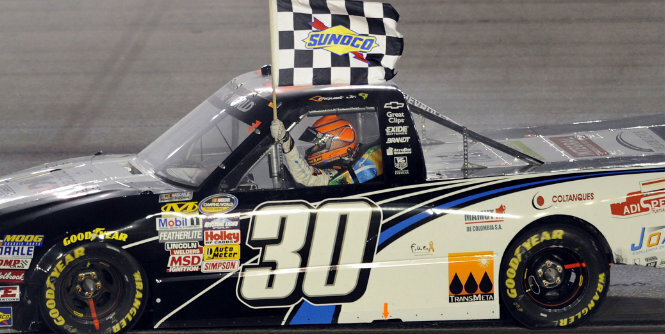 Piquet’s last-lap pass marked the 17th lead change of the event, breaking a LVMS Truck Series record set in 2009. For the first time since 2008, NASCAR will allow Sprint Cup Series team to test at tracks that host events in NASCAR's top three touring series. NASCAR vice president of competition Robin Pemberton confirmed Saturday at Dover International Speedway that each Sprint Cup Series organization -- regardless of how many cars it fields -- will be allowed four tests of its choosing at NASCAR tracks in 2013. "It's up to them to pick where they want to go," Pemberton said. "We feel like it's time to open that up and allow the teams to manage their testing and get back on facilities that host our events. You'll see that as the year unfolds, that teams will be moving around the countryside." The four tests allocated to each organization are in addition to the Preseason Thunder test, which will be will be conducted by NASCAR during the second week of January. 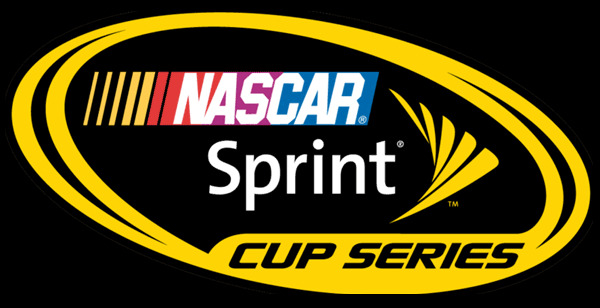 In a related story, NASCAR is considering moving some Sprint Cup Series qualifying sessions to Friday afternoons next season. Officials spent much of the weekend consulting with drivers, crew chiefs and team owners at Dover International Speedway, seeking input on possible changes including Friday qualifying and a Saturday, post-qualifying practice session. The change would give teams more time to work on race setups on Saturday, while also giving track promoters a significant Saturday Cup practice and more time for driver and fan garage interaction. 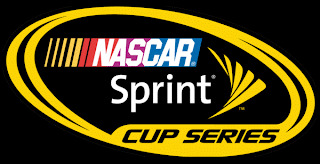 NASCAR is expected to announce several 2013 competition changes sometime next month. NASCAR CEO Brian France: Brian France: "The passing of Chris Economaki is a tough loss for me on both a personal and professional level, having known Chris throughout my life. Many people consider Chris the greatest motorsports journalist of all time. He was, indeed, 'the Dean.' Chris was a fixture for years at NASCAR events, and played a huge role in growing NASCAR's popularity. I'll miss seeing him and of course, I'll miss hearing that voice. Our thoughts and prayers are with his daughters Corinne and Tina and the rest of Chris' family." New Hampshire Motor Speedway General Manager Jerry Gappens: "I had the pleasure of working for Chris at his beloved National Speed Sport News for nearly a decade. They called him the "Dean of Motorsports Journalism," and I truly believe that is true. Under his tutelage, I earned my Masters and PhD in this industry. He had great passion and the most diversified and intimate knowledge of all forms of motorsports as anyone in the history of this sport and industry. His journalistic instinct was second to none and he was fearless when it came to shoving a microphone in the face of an irate A.J. Foyt, Dale Earnhardt, Ayrton Senna or any other driver after a crash or controversial moment. His work was truly a labor of love and he crammed the equivalent of five lives into his illustrious 91-year tenure on this earth." 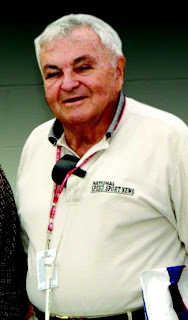 Martinsville Speedway President Clay Campbell: “When I was young, and I heard Chris Economaki’s voice on the radio or television, I knew I was going to get real racing. That was one of the many great things about Chris, he didn’t beat around the bush. And that’s one of the biggest things he did for our sport, he took the real story of racing to America. Here's The Next Generation of Wood Brothers Racing! 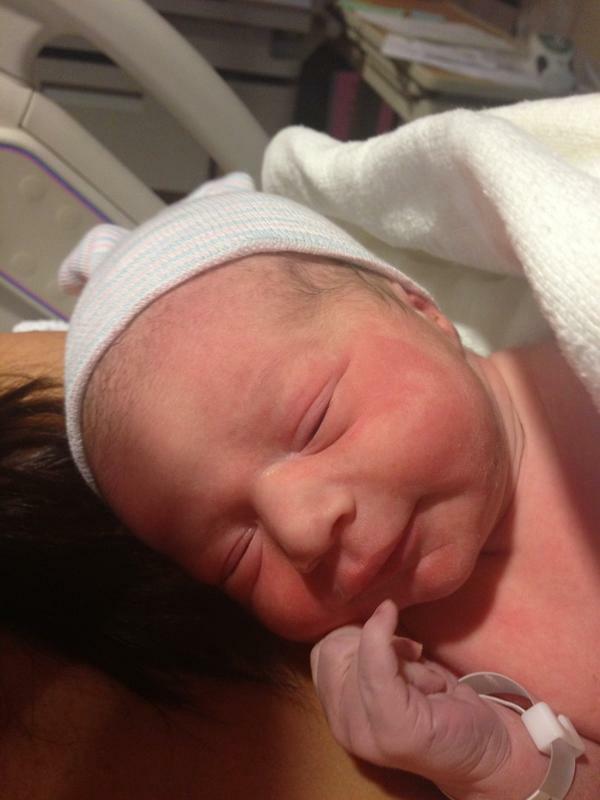 Former NASCAR Camping World Truck and Nationwide Series driver Jon Wood and his girlfriend, Amanda Taylor, welcomed a daughter, Riley E. Wood, earlier today. No details are available yet on the size or weight of the new bundle of joy, but BabyDaddy Jon was able to stop shaking long enough to tweet this picture of the new arrival. Congratulations! In addition to the list of goals Kyle Busch is working toward achieving in NASCAR -- capturing a Sprint Cup Series Championship, winning a Daytona 500 and collecting 200 wins across the top three divisions -- several years ago the driver created a “bucket list” of major Late Model races across the country that he dreamed of winning. Busch has been able to scratch a number of those prestigious events off his list, including the prestigious Wisconsin All-Star 100 at the Milwaukee Mile in 2008, the 2009 Red Bud 300 at Anderson Speedway, the 2009 Winchester 400 at Winchester Speedway, the 2009 Snowball Derby at Five Flags Speedway, the 2009 and 2012 SpeedFest at Lanier National Speedway and the 2011 Oxford 250 at Maine’s Oxford Plains Speedway. But the legendary All American 400 at the Fairgrounds Speedway in Nashville, Tenn. is one that Busch has yet to capture, and one he is bound and determined to win. He won the race as a car owner in 2010 with driver T.J. Reaid, but with the backing of Dollar General, which is headquartered 16 miles from the speedway in Goodlettsville,Tenn., Busch will have the opportunity to visit Victory Lane as a driver. On Saturday Oct. 6 the event -- whose list of winners includes Darrell Waltrip and Rusty Wallace -- returns after a year's hiatus. Dollar General will serve as primary sponsor of Kyle Busch Motorsports No. 51 Camry for the 400-lap event at the 0.596-mile oval. "I've had a list of big Late Model races across the country that I've wanted to win and the All American 400 sits high atop that list," said Busch "The fact that for this first time in over a decade this year's race is going to be a true 400-lap event gave it that much more appeal. I just couldn't pass up the opportunity to try and cross this race off my bucket list. The Las Vegas native has one prior start at Fairgrounds Speedway, in a 2008 CRA Late Model event. Despite being unable to practice and qualify due to his Sprint Cup Series duties at Bristol Motor Speedway, Busch won the Last Chance race to earn the 21st starting spot in the 150-lap feature. After sustaining damage in a lap-one accident, he drove back through the field and was running third when a broken shock forced him to retire from the event. Busch has two victories in three Super Late Model starts in 2012. He opened the season with a win in SpeedFest at Watermelon Capitol Speedway in Cordele, Ga. in January, and claimed his third consecutive triumph in the Rowdy 251 at Berlin Raceway in Marne, Mich. in June. He appeared to be in position to make if three-for-three on the season, opening sizeable lead in the closing stages of the Slinger Nationals at Slinger (Wisc.) Speedway before a caution bunched the field and allowed fellow NASCAR Sprint Cup Series competitor Matt Kenseth to pass the No. 51 KBM Camry and take home the victory. Jimmie Johnson’s track record at Dover International Speedway is enough to inspire awe, or confidence. In 21 career Sprint Cup Series starts at the Monster Mile, Johnson has a record-tying seven wins – joining Richard Petty and Bobby Allison at the top of the all-time win list – along with 10 Top-5 and 15 Top-10 finishes. With an average finish of 8.9, he easily owns the best Dover record among active drivers, making him a prohibitive favorite to expand his single-digit championship point lead with another victory Sunday. Surprisingly, Johnson pointed to his off-road background as a key to his Dover success. He admitted, however, that Dover’s rapid changes can be difficult to keep up with. While expressing happiness with his strong start to the 2012 Chase, the five-time Sprint Cup Series champion acknowledged that there is still work to be done. In a move designed to accelerate Furniture Row Racing’s preparations for the 2013 NASCAR Sprint Cup season, Kurt Busch will take over the driving duties in the team’s No. 78 Chevrolet beginning with the Oct. 13 Bank of America 500 at Charlotte Motor Speedway. 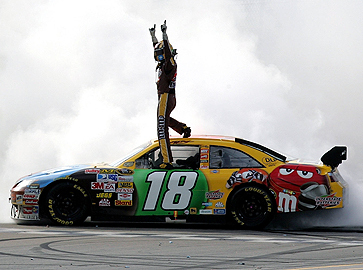 Busch, who was announced earlier in the week as Furniture Row Racing’s new driver for 2013, will replace Regan Smith. Furniture Row Racing general manager Joe Garone made the announcement today, with Busch alongside at a news conference at Dover International Speedway. Garone also stated that Smith’s Furniture Row Racing contract, which expires at the end of the season, will be fully honored. Busch said he is excited about getting a head start with the Denver, Colo.-based team. Along with the Oct. 13th Charlotte race, Busch will drive the Furniture Row/Farm American Chevrolet in Kansas City, Kan. (Oct. 21), Martinsville, Va. (Oct. 28), Fort Worth, Texas (Nov. 4), Phoenix (Nov. 11) and the season finale in Homestead, Fla. (Nov. 18). Despite repeated assertions by Penske Racing owner Roger Penske that he wants Sam Hornish, Jr., back in a full time NASCAR Nationwide Series ride next season, the former Indianapolis 500 champion says he has no signed contract in place for 2013. “I don’t have any paper in my hand saying what’s going to happen next year,” said Hornish. “I know Roger’s been out there (in the media) saying he’d like to have me back, but we’ll just have to wait and see how everything plays out. We’ve got some really good sponsors and we’re moving forward on some other ones, but it’s a really tough time with the economy. “A lot of people are waiting around to see what’s going to happen with the election,” he revealed. “That will impact how the economy goes, and it’s funny how big a role politics plays in our racing world. When you’re talking about the kind of money it takes to run a full Nationwide or Sprint Cup schedule, there are a lot of things involved. 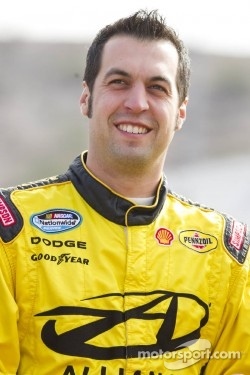 Hornish said that uncertainty, combined with Penske’s recent decision to sign Joey Logano to drive the team’s No. 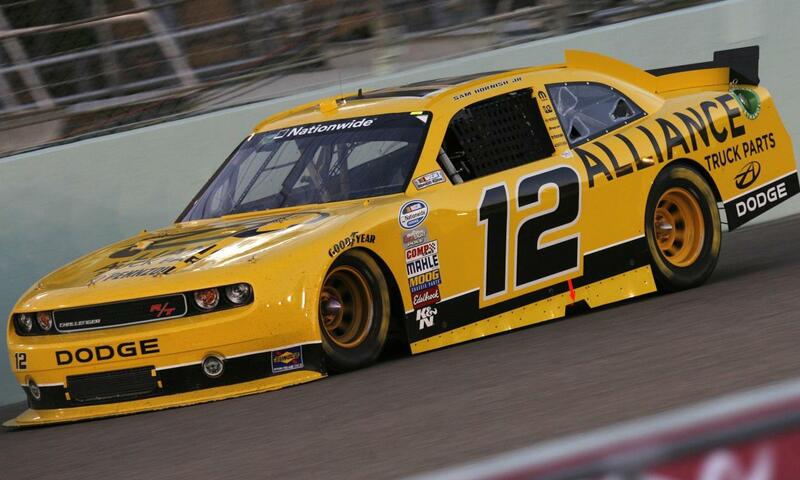 22 Shell Pennzoil-sponsored Sprint Cup Series Ford next season, has made for a difficult few weeks. “It’s obviously been tough, with all the things that have happened,” he said. “But I try to remain as loyal as I can to Penske Racing. I know they’ve done a lot for me, and I love this organization. I hope we can move forward together, but I can’t feel too happy until I know for sure what’s going to happen next year. It’s just a tough time right now. He said his primarily goal is to end the 2012 season on a high note, win races and continue to contend for the Nationwide Series championship. “My goal at the start of the start of the season was to finish in the Top-3 in Nationwide points,” he said. “We’re fourth right now – 46 out of the lead – and it’s not too late to make a run. We just need to find another five percent in performance. The “Dean of American Motorsports” has died. Chris Economaki, longtime editor and publisher of National Speedsport News, died this morning at age 91. 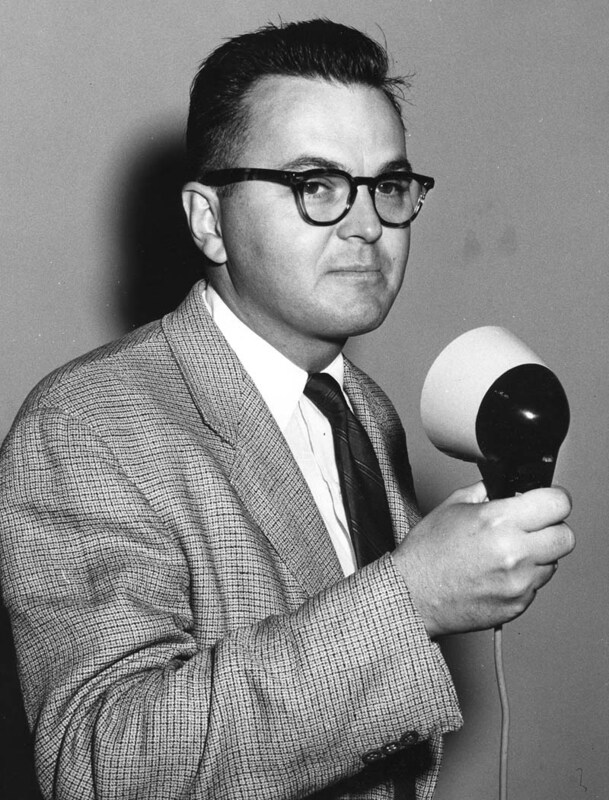 Economaki’s byline appeared in NSSN for more than 60 years, and his weekly column, “From the Editor’s Notebook,” was required reading for industry insiders and casual fans alike. In addition to his print career, he served as a pit analyst and commentator for ABC CBS and ESPN for four decades, becoming one of the most respected and trusted personalities in the sport. An “old school” reporter to the end, Economaki was famous for pounding out stories on his Royal upright typewriter in a media center filled with laptop computers. The son of a Greek immigrant father and the great-niece of Confederate General Robert E. Lee, he witnessed his first live auto race on the old Atlantic City board track at age nine. Soon after, he began selling copies of NSSN at race tracks around the northeast, hitchhiking both ways and pocketing a penny for every paper sold. He became a popular columnist and reporter, was later named editor and eventually purchased and oversaw the publication for nearly half a century. Christopher Constantine Economaki is survived by his daughters, Corinne and Tina, and two grandchildren. Sirius XM NASCAR Radio will honor Economaki’s life with a special presentation of his Sirius XM Speedway Legends interview, today at 6:25 PM ET on Sirius XM NASCAR Radio, Channel 90. 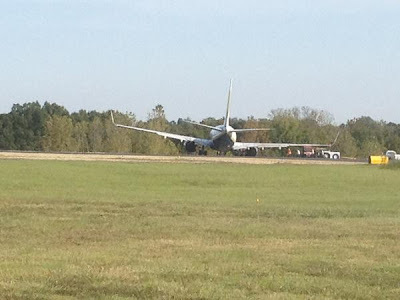 A 737 charter jet filled with NASCAR drivers, crew and media members slipped off the runway while taxiing for takeoff at Concord (NC) Regional Airport today, becoming stuck in the mud and delaying its departure for Dover International Speedway. NASCAR Sprint Cup Series drivers Paul Menard, Casey Mears, Travis Kvapil, David Stremme and Scott Speed were all on the airplane when it strayed off the runway at slow speed, no injuries were reported. The passengers deplaned without incident, and were transferred to another aircraft. "Yes! I made Rutledge Wood puke!" Kyle Busch is accustomed to turning some pretty hot laps at Martinsville Speedway, but never with passengers …until Wednesday. Busch gave hot-lap rides to about 25 media members and a few lucky fans Wednesday afternoon as part of a promotional event for the upcoming TUMS Fast Relief 500. He got driving support from Martinsville Speedway President Clay Campbell, an accomplished driver who competes on the NASCAR K&N Series, to make sure everyone got a chance for a near-race experience at Martinsville. Many of the media were left shaking their heads after exiting the Toyota Camry after a few laps with Busch, amazed at how difficult it was just to ride along in race trim for a few laps, much less racing for 500. Busch doesn’t have a Martinsville Speedway win yet. He is coming off his best career finish in the Goody’s Fast Relief 500 last spring, a third, and he believes a win isn’t far away. Part of his improvement, Busch said, has come from learning how to protect his car better during the 500 laps, something that isn’t very easy. The cars used for the ride-alongs were authentic NASCAR Sprint Cup cars, supplied by Andy Hillenberg’s Fast Track High Performance Racing School. Busch drove a Toyota Camry with a paint scheme identical to the one he drives on race weekends. "Just mash the gas, honey..."
After the first practice session, held Tuesday evening, for the second-annual Better Half Dash, Lyn-z Adams Hawkins Pastrana, wife of NASCAR Nationwide Series driver Travis Pastrana, posted the fastest lap with a time of 20.49 seconds. Lyn-z, a professional skateboarder and eight-time X Games medalist, proved her extreme sports background has prepared her for the driver’s seat. Kristen Yeley, wife of NASCAR driver JJ Yeley, recorded the second-best time of the evening with a 20.59-second lap and defending Better Half Dash winner Jacquelyn Butler, fiancée of NASCAR driver David Ragan, had the third-best lap at 20.63 seconds. The charity race to benefit Motor Racing Outreach and Speedway Children’s Charities, will be held on the frontstretch quarter-mile of Charlotte Motor Speedway on Oct. 11 following Bojangles’ Pole Night qualifying for the Bank of America 500 and will pit the women of NASCAR against each other in Bandolero race cars provided by U.S. Legend Cars International. 2. Kristen Yeley – 20.59 sec. 3. Jacquelyn Butler – 20.63 sec. 4. Wendy Venturini – 20.72 sec. 5. Michelle Gilliland – 20.80 sec. 6. 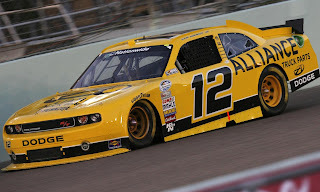 Ashley Allgaier – 20.87 sec. 7. Amy Gordon – 20.99 sec. 8. Adriene Pattie – 21.09 sec. 9. Angie Dillner – 21.30 sec. 10. Katrina Childers – 21.36 sec. 11. Patricia Driscoll – 21.455 sec. 12. Melanie Self – 21.965 sec. The Better Half Dash is a 25-lap race, with a competition caution set for Lap 15. A random inversion will shake up the field before the final 10-lap shootout. Caution laps will not count. If necessary, there will be up to two chances at a green-white-checkered finish. The starting order for the race will be determined by qualifying on Monday, Oct. 8 at Charlotte Motor Speedway. The winning driver will receive $10,000 to be paid to the charity (or charities) of her choice. In addition to the Better Half Dash on Oct. 11, Bojangles’ Pole Night will also feature NASCAR Sprint Cup Series qualifying for the Bank of America 500, as well as the UNOH Southern Slam 150, the season finale for the NASCAR Whelen Southern Modified Tour. Tickets are $12 in advance or $20 on event day. Kids 13 and under get in free. Tickets for all October races at Charlotte Motor Speedway can be purchased online at www.charlottemotorspeedway.com or by calling the speedway ticket office at 1-800-455-FANS (3267). Matt Kenseth will be at the wheel of a pink Ford Fusion when he rolls into Talladega Superspeedway for the Good Sam Roadside Assistance 500 weekend, Oct. 5-7. The pink ride came about through a partnership between Roush Fenway Racing, Talladega Superspeedway and the National Breast Cancer Foundation. 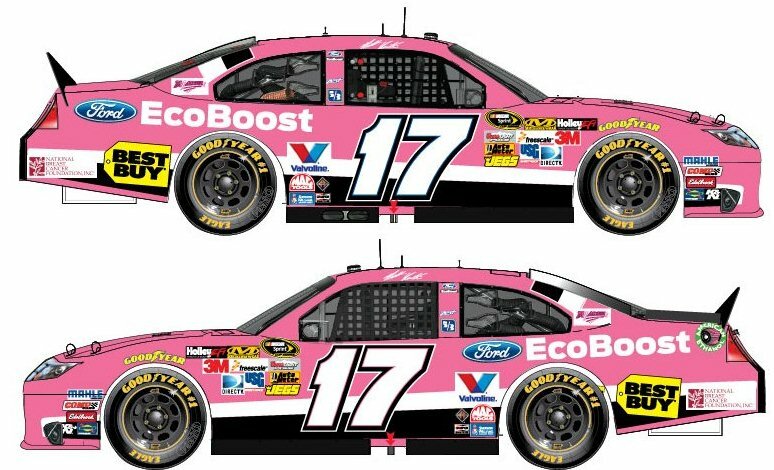 In addition to Kenseth’s pink ride, Roush Fenway Racing is also auctioning off an honorary pit crew experience to raise funds for the National Breast Cancer Foundation. Fans can bid on this once-in-a-lifetime opportunity through the NASCAR Foundation auction page at http://marketplace.edeal.com/cgi-bin/ncommerce3/ProductDisplay?prmenbr=63306014&aunbr=194588726. Bidding for the honorary pit crew experience with the No. 17 team closes at 8:00 pm EST on Monday, October 1. "I've got to wear WHAT??" The first opportunity to see Kenseth’s pink No. 17 NBCF Ford EcoBoost Fusion on the track will be during NASCAR Sprint Cup Series practice on Friday, Oct. 5. Kenseth has 25 starts at the 2.66-mile track and has earned four top five and seven top-ten finishes. 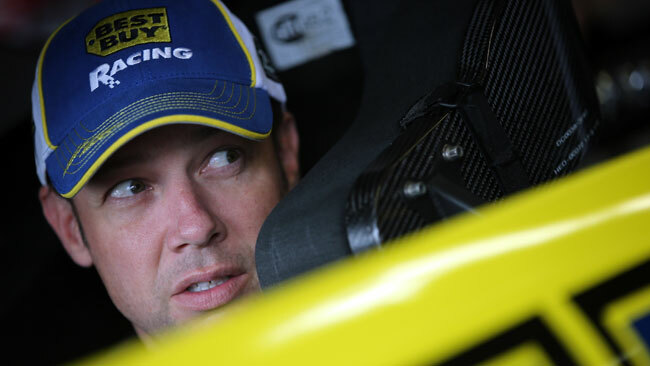 Earlier this season at Talladega, Kenseth finished third and led for a total of 73 laps. On the heels of the recent announcement that Ricky Stenhouse Jr. will pilot Roush Fenway Racing’s No. 17 Sprint Cup Series Ford Fusion next season, the 2011 NASCAR Nationwide champion will make his second Sprint Cup start of the year at Dover International Speedway this weekend. Earlier this season the Olive Branch, Miss., native made his debut in the Daytona 500, finishing 21st. He finished 11th in his Sprint Cup debut in the 2011 Coca-Cola 600 at Charlotte Motor Speedway. The 2011 NASCAR Nationwide champion will pull the double-duty this weekend as he defends his title with six races remaining. 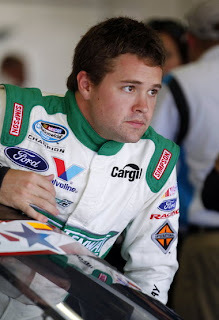 The tight championship battle shows Stenhouse only four points out of the lead. Rancher’s Reserve and Safeway will serve as the primary sponsors for both the No. 6 Ford Mustang and No. 6 Ford Fusion. After staging the most talked-about event of the 2012 NASCAR season to date, Rockingham Speedway President Andy Hillenburg made it official today; confirming that the NASCAR Camping World Truck Series will return to “The Rock” on April 12-14, 2013. “We got our report card from NASCAR, and it looks like we got an A+,” said Hillenburg of NASCAR’s April return to Rockingham for the first time since 2004. 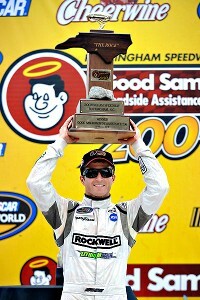 Sprint Cup Series star Kasey Kahne topped an all-star field of Camping World Truck Series regulars to win the `Good Sam Roadside Assistance Carolina 200 presented by Cheerwine,’ in front of a large and enthusiastic crowd of race fans. General admission tickets are already on sale, with adult tickets beginning at just $20 and kids age 12 and under half-price. Reserve your seats now by calling the Rockingham Speedway ticket office at (910) 205-8800, or online at www.rockinghamspeedway.com. “It’s been a long road back since we bought this race track in 2007,” said Hillenburg. “There were a few times along the way where I wasn’t sure we were going to make it. But when I looked up in the grandstands during driver introductions in April, it made me extremely proud. That was a very important day in the history of Rockingham Speedway, but it was just one step on the road. We’re moving forward, and I look forward to packing the grandstands again next April. After a 26-race relationship, TriStar Motorsports officials announced today that they have agreed to part ways with NASCAR Nationwide Series sophomore, Tayler Malsam. The decision ends a relationship that saw the Sammamish, WA native drive the #19 G-Oil Toyota to 13th place in the Nationwide Series championship standings. "All of us at TriStar Motorsports appreciate what Tayler has done for our race team this year," said Tri-Star team owner Mark Smith. "Tayler did a great job for us and we wish him nothing but the best of luck as he explores future opportunities in this sport. I think it is really important for us as a team to set our sights on the future and take the appropriate steps in that direction." 2002 NASCAR Camping World Truck Series Champion and current TriStar Motorsports driver, Mike Bliss, will pilot the #19 Toyota at Dover International Speedway this weekend. Jeff Green, the 2000 Nationwide Series Champion, will fill in for Bliss in TriStar's #44 Nationwide Series entry. The team will make future announcements on driver and sponsor lineups for the remainder of the season at a later date. For the likes of Greg Biffle, Martin Truex Jr. and Matt Kenseth, it’s time to get rolling. After two races in the 2012 Chase for the NASCAR Sprint Cup, the annual culling of the championship herd is well underway. While Jimmie Johnson, Brad Keselowski and Denny Hamlin have established themselves as the major contenders for the crown, Biffle, Truex and Kenseth have stumbled out of the blocks, leaving themselves in “do or die” territory this weekend at Dover. 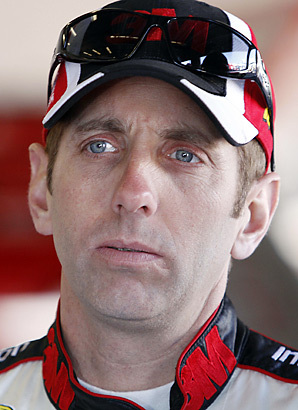 Biffle is ninth in Sprint Cup Series points after finishing 13th and 18th in the opening two races of the Chase. 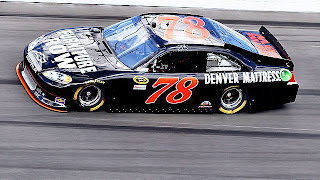 Truex is 10th in the standings after recording finishes of ninth and 17th. Kenseth, 11th in points, has finished 18th and 14th. Since the Chase began nine years ago, no driver has come from further back than eighth after two races to win the championship. In each of the nine previous Chases, the eventual champion was fifth or better after two events. And in five of the nine Chases, the eventual champion was either first or second at this point of the season. Clearly, the numbers do not favor a miraculous comeback for Biffle, Truex or Kenseth. What shot they do have will almost certainly evaporate with a third poor finish this weekend on the Monster Mile. Fortunately, all three have tasted success there in the past. Biffle is a two-time winner there -- in 2005 and 2008 – finishing second and third in points those seasons. His Driver Rating of 104.2 is fourth-best among all active drivers. Truex, from nearby Mayetta, N.J., scored his only NASCAR Sprint Cup victory to date at Dover in 2007. He is a two-time Coors Light Pole winner there -- most recently topping the speed charts in last year’s AAA 400 – and finished seventh there in June. Kenseth has won twice at Dover, most recently in the spring of 2011. He ranks second in now less than four critical Loop Data categories, including Driver Rating (110.5) and Average Green Flag Speed (143.630 mph). 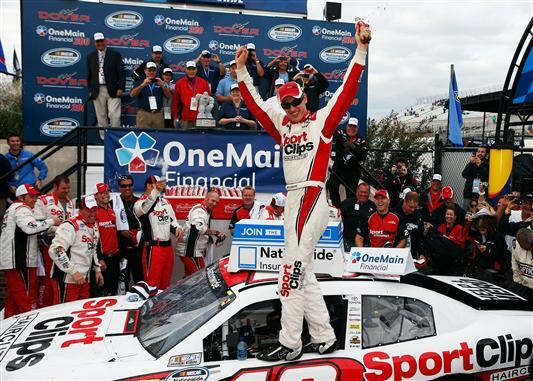 He also finished third at Dover in June of this year. Their backs may be against the wall this weekend, but Biffle, Truex and Kenseth all have the ability to come out of that corner fighting. BUSTED: Stewart's Good Luck Booty Grab! We're Ready To Race at Chicagoland Speedway! Pattie Says He And Bowyer "Have A Lot To Prove"
Knaus: "We Race Prototypes Every Week"